Top-Rated SellerTraderYore consistently earns high ratings from buyers thanks to fast shipping and excellent service. 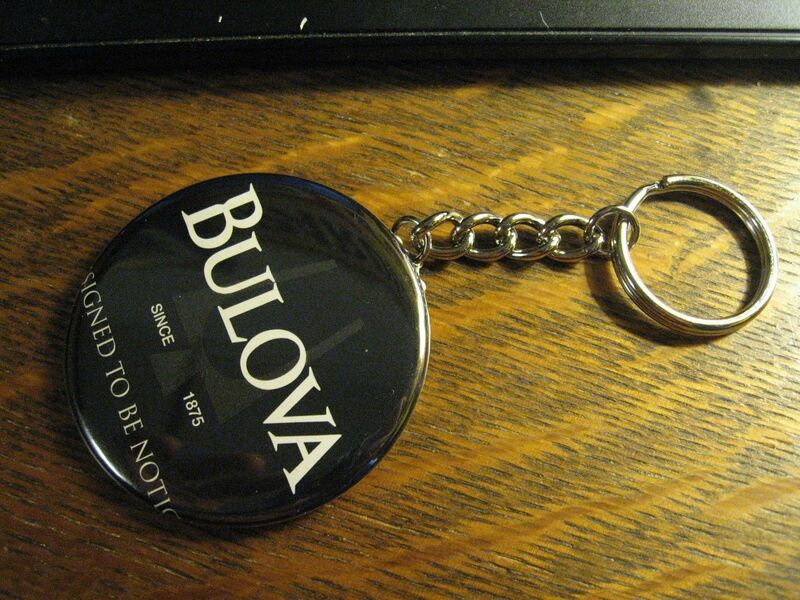 Bulova Watch Logo Keychain - Repurposed Magazine Ad Backpack Purse Clip Ornament The keychain is made from an advertisement in the November 2012 issue of Esquire Magazine. The face design of the medallion is plastic covered paper. The back of the medallion is silvertone metal. The medallion measures 2 1/4" across the center. The chain and ring are also silvertone metal. 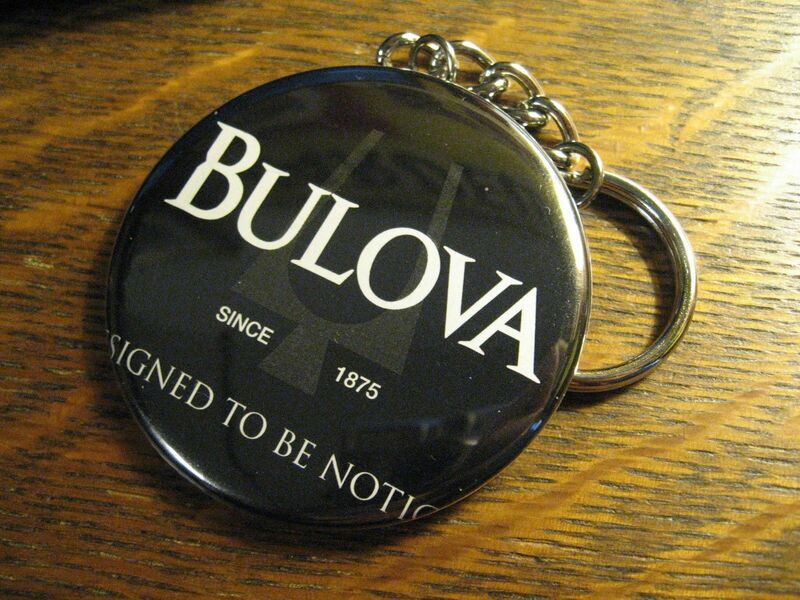 The face design reads: "Bulova. Since 1875. 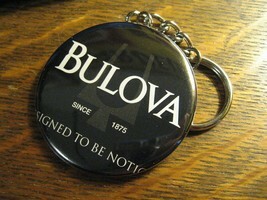 Designed To Be Noticed." 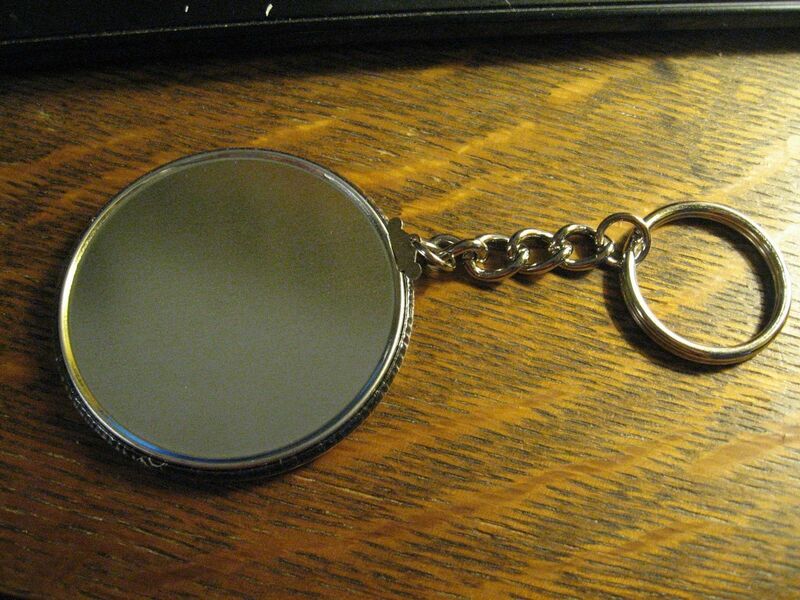 It is made of a lightweight metal, so it is not made to hold a lot of keys !!! There are no visible maker's marks. Condition: Excellent / Unused / Recycled / Re-Purposed Condition. 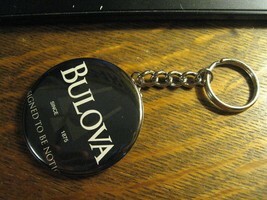 A Great Looking / Collectible Keychain / Clip !!! Shipping within the USA is FREE !!! I will Ship Internationally. Check My Other Items. Please write with Questions !! !